The evening glowed with a warmness filled of soft thoughts of forever love. She watched every step he took and he felt every beat her heart made as he got closer to her. Sometimes when we are wandering in the world alone it is to find the one that will keep us from feeling the solidarity we have know for so long. Together two people can fall into a love that isn’t about fairy tales and roses but a story of strength and selflessness for one another. To guide each other through the darkness and become the light that grows into the brightest hope you have ever known! The Terraces at Sir Tyler has a new outdoor event space and it is just beautiful! 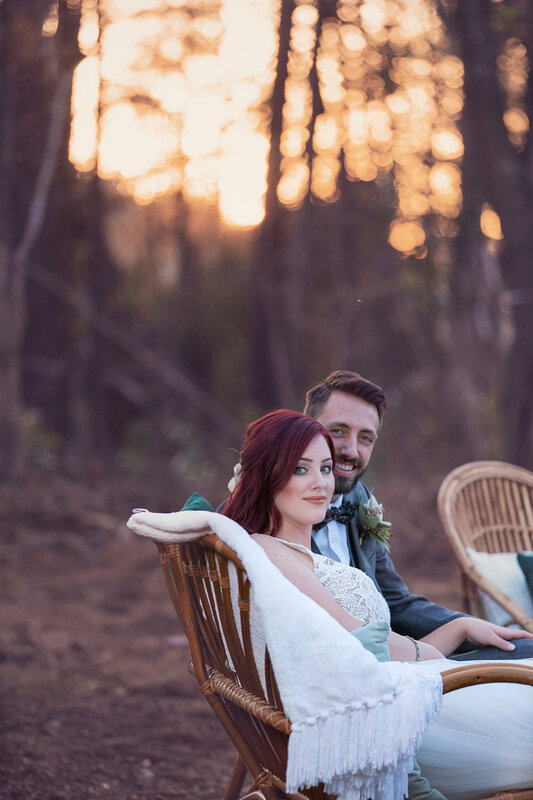 We were honored to be asked to do a styled shoot to help promote it. With its serene wooded area and natural setting it is everything one could ask for if they are looking for a down to earth ceremonial spot. Or just some breath taking couple’s photos. There were several vendors who got involved to help show off this the new space and it made everything that much more stunning. Thanks to everyone for making this so look amazing! And of course a special thanks to our real life bride and groom to be, Krysten and Sean!